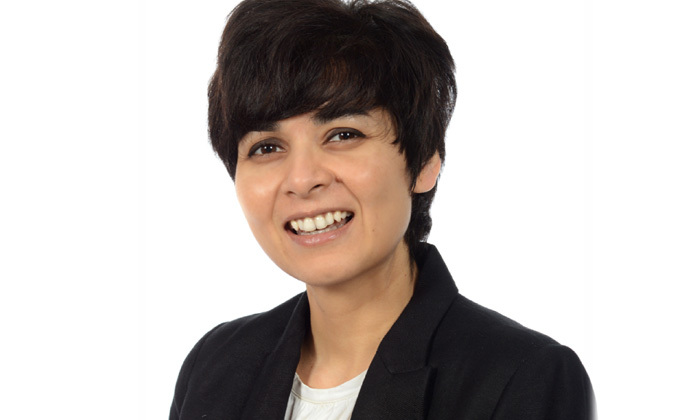 Rashmi Sharma, head of learning and development, and lead advisor of the diversity council at Citi Singapore, explains the business imperatives behind putting together a well thought-out flexible working strategy. Can a single strategic tool enhance employee engagement, productivity, talent attraction and retention, while contributing towards real estate cost optimisation and stakeholder engagement? According to the 2013/2014 Randstad World of Work report, 60% of employees in Singapore say flexible work gives them greater job satisfaction. Workers in Singapore also say a working week that is 70% at the office and 30% at home is their ideal work week. The Employer Alliance of Singapore stated that hundreds of thousands of Singaporeans could re-enter the workforce and ease the nation’s manpower shortage if more companies adopted flexible work arrangements. Flexible work options facilitate better talent attraction, improved talent retention, increased productivity and cost savings. Additionally, Gen Y professionals joining the workforce are overturning the traditional workday by placing more value on workplace flexibility than earning more money. We believe a diverse employee base is a business imperative and we aspire to truly reflect in our workforce the diversity of our clients and communities. Diverse employees have diverse needs and our employees aspire to lead holistic lives. As much as employees today hope to have productive and fulfilling experiences at work and with their families, they are also investing themselves in health and fitness, community work, further education, and in many more areas. Flexible work strategies let employees live more balanced and wholesome lives by allowing them to decide when, where and how they deliver at work. Changing organisational culture to one where flexible working is seen as a business advantage is the bigger challenge, and there are several barriers. Employees who are empowered to ascertain their own work schedules are also more engaged – and engaged employees say, strive and stay. A study conducted by Gallup found organisations with engagement scores in the top quartile averaged 12% higher customer advocacy, 18% higher productivity and 12% higher profitability. Additionally, a Towers Watson study showed firms with high engagement had a 19% increase in operating income and nearly 28% growth in EPS. Likewise, a similar study by Hay Group found organisations in the top quartile in engagement generate revenue growth that is 2.5 times higher than those companies in the bottom quartile. Employees, as well as managers, are also using flexible working to serve internal and external stakeholders better. Employees can be available at different times to interact with stakeholders in different parts of the world and across time zones. For example, our Citi Asia head of compensation for operations and technology shared he and his team were able to interact with partners all the way from New Zealand and Japan to India, despite the fact different team members worked different hours – from the office as well as from home. Real estate adds a huge amount of fixed cost to our businesses. Flexible working in the form of hot-desking, staggered hours and remote-working reduces workspace needs significantly. Flexible working requires maturity on the part of the employee, manager and the organisation as a whole or else the initiative could fail. So what do we need to drive this culture change? Organisations adopting flexible working strategies need to ensure they have the right physical infrastructure as well as the right technology to support flexible working. Robust fire walls, data-sharing technologies, easy access to audio and video conferencing and other interactive tools are core. This, however, is the easy part. Changing an organisational culture to one where flexible working is not only accepted, but seen as a business advantage is the bigger challenge, and there are several barriers to fostering environments conducive to flexible working. One core barrier is the mindset of people who are unfortunately fed with popular myths such as “employees who work longer hours are more committed”; “If I don’t physically see the person I am working with, we cannot be as productive” and “if my team-members are not in front of me, they are most likely goofing off”. None of these are backed up by credible research or data. Employees working flexibly are known to feel more empowered, more engaged and more productive. They must be ready, however, to change the way they work and connect. A strong accelerator of culture change is senior management role-modelling flexible working, as well as driving this from the top. At Citi, “flexible work awareness” talks are delivered by senior business leaders who not only educate and encourage their teams to consider these, but also showcase employees and managers leveraging these. Advantages as well as challenges are discussed openly at these forums. Not all jobs are conducive to every kind of flexible work schedule. An equity trader, for example, cannot work staggered hours, and a receptionist cannot work from home. Fortunately, from a list of flexible hours, remote work, part-time work, job-sharing and a compressed work week, and many combinations thereof, there are many other options to choose from. The decision must be based on the nature of the job, any potential impact on the team and the employee’s own capabilities and potential to self-manage. Flexible working requires maturity on the part of the employee, manager and the organisation as a whole or else the initiative could fail. Some organisations have had to scale back post-implementation. For effective implementation ground rules must be laid out. Most importantly, irrespective of the work schedule, the employee must remain responsible for meeting all role requirements. Team members and managers will need to make a conscious effort to engage as a team, perceive and convey urgency when needed, and to find innovative ways to stay connected and networked.